Have you ever ordered something that was damaged in delivery? Or opened a box after a long move only to find things inside were broken? Both are frustrating experiences that could’ve been avoided if the right packaging supplies had been used. The Packaging Company can help stop that frustration from happening again in the future. Whether you’re the seller or the mover, here’s our tips on choosing the right packaging supplies for your needs. You might think all bubble cushioning is the same. But take a closer look and you’ll realize it’s got a lot going on. Bubble comes in different sizes and provides different kinds of protection. Smaller and lighter objects do just fine with regular bubble cushion. Bigger and heavier objects need larger bubble sizes to stop them from damaging themselves or their neighbor. And anti-static bubble can protect electronic equipment. Bubble comes in rolls, cartons with easy-tear perforations, and pre-made pouches. Packing paper is a versatile product. It can be wrapped around objects. It can be layered between items. Or it can be wadded up and used as a void fill. It’s not as thick or as cushioning as bubble, so it’s not ideal for fragile objects. But it can keep items separated and stop them from scratching each other. And if you’re ever feeling artistic, packing paper is right at home being used as a drawing or painting canvas. Long sheets of bubble cushioning are glued onto equally long sheets of kraft paper. Together they create Krubble, a nearly perfect packaging material. Krubble is a triple threat. It acts as a packaging supply, void fill, and is just really attractive to look at. Looking to protect your objects while not overdoing the amount of fill inside the box? Krubble is a really great choice. And it can still pop just as satisfyingly in your hands. Foam is like the monkey in the middle. It’s a really versatile product that splits the difference between bubble and packing paper. It conforms to objects just as well as packing paper does, while providing the kind of protection that bubble can. Wadded up and used as void fill, or slipped between stacks of plates, foam is all in. And just like bubble, anti-static foam is great for electronic equipment. Peanuts are a looser and lighter fill than their packaging cousins on this list. They’re great for shipping multiple smaller and lighter items. Especially ones that really don’t carry much of a risk of damaging each other. And best of all, most types of peanuts are now biodegradable. 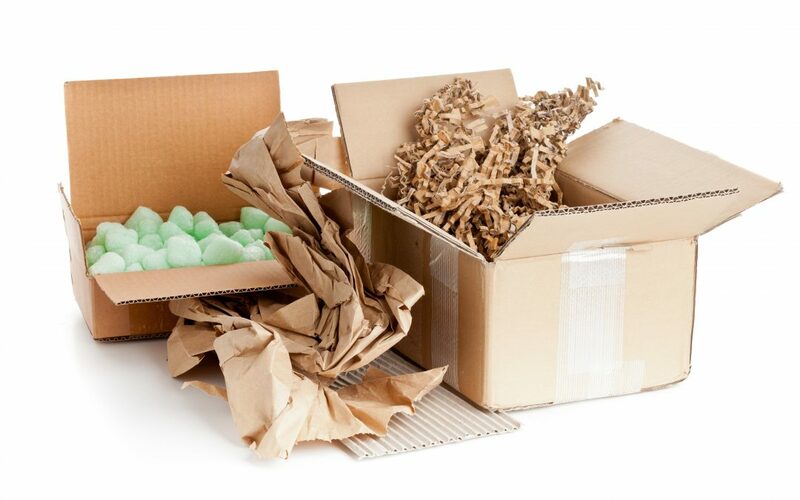 Choosing the right packaging supplies can save you a lot of time and hassle. The Packaging Company has everything you’ll need to make sure your next move or shipment doesn’t end in frustration and disappointment.